It´s been a while since the last post here, so I thought I should share some now. Other than this, things have been a bit calm lately. But I have some goodies as candidates for 3.26 functionallity. 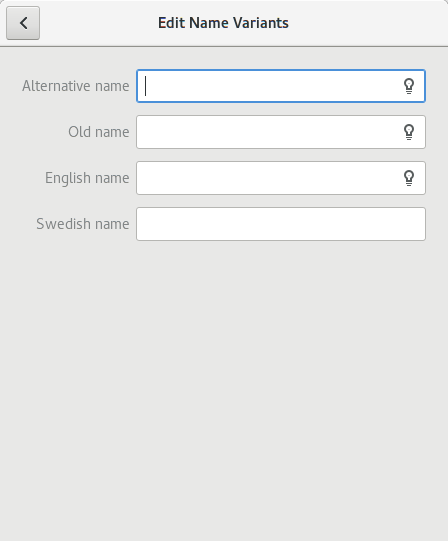 And finally another idea we had before was being able to edit localized name variants in OpenStreetMap (this helps improving searchability for users in cases where the name of a place might differ a bit in different languages). 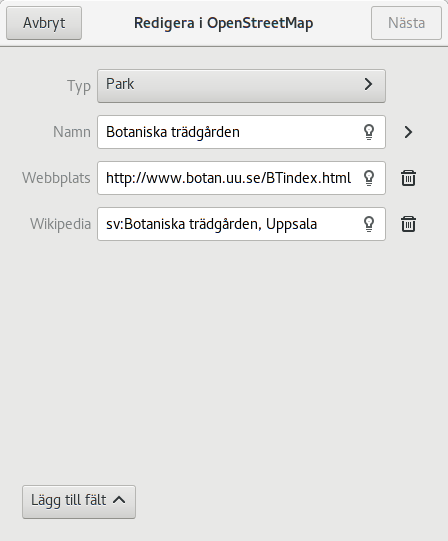 Here we have provisioning for giving an alternative name (such as a locally-known-as inofficial name for a place), older/historic names of places, and the name in the user´s language (I also added a static English name field, since the English name variant is often defacto used in OpenStreetMap as Romanized version in cases where the native name of a place is writtin in a non-latin script). This feature might need some designer feedback. Another feature that might be cool that I have been thinking up a bit on is showing upcoming departures for public transit stops (and maybe nearby stops when using your current position). There is not yet any concrete implementation of anything here and this would also need some designer love. And also, when speaking of transit, we´re still looking for options for hosting an OpenTripPlanner server instance (you still have to run your own and use either the service file override or using the debug environment variable), so if you happen to have some ideas here, it´s always welcome! 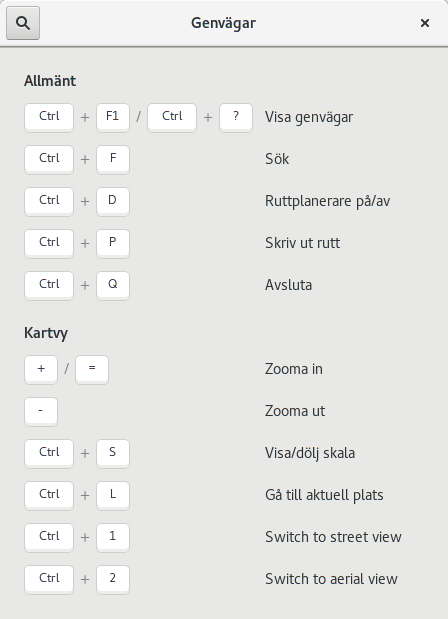 "Maps gained the ability to show your contact´s addresses from GNOME Calendar/Evolution"
Note that this feature is not new, it´s been around since 3.16 (I think). What you need is for your contacts to have adresses set on them. Those who do, should be searchable on the map (regardless of the calendar source, Google, Owncloud and so on). What I was referring to was the map button in Calendar next to the "where" field. At the moment it's not doing anything, for me, that is. Is that a future thing, or is that something that should be functional? Yeah, the button in Calendar indeed doesn't seem to do anything. I'm not personally involved in the Calenar project, but maybe they planned the feature but didn't get around to implement it (I suppose you should be able to enter an address to an event). Better ask the Calendar maintainers what their intensions are!